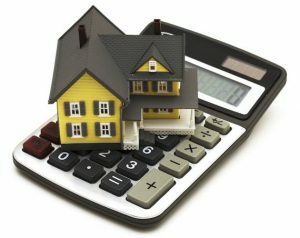 What is the Difference Between Your Property Assessment and Your Property Tax Bill? You probably get enough bills in a month that you think you’d recognize a bill when you see one. Yet, government documents can be confusing and even alarming at times, particularly when they come at irregular intervals or aren’t expected. Here’s what to know about your property assessment notice and your property tax bill – and what the difference is between them. Unfortunately, no bill comes just once every four years! If you have received a Property Assessment Notice seemingly out of the blue, that’s because it’s only issued every four years – so if you’re a new homeowner, this might be the first one you’ve ever received in your life. If not, you will have received a similar notice back in 2012. The property assessment notice is a document that outlines the assessed value of your property as of January 1, 2016. The assessment was performed by MPAC, the not-for-profit body responsible for assessing the value of every privately held residential, commercial and industrial property in Ontario. The main criteria MPAC uses to assess the value of a property are location, size of living space, lot size, property age, and quality of construction. So if, for example, in 2014 you made an addition to your residential property that turned it into a duplex, and began to use it for income generation purposes, you may have received a property assessment notice in 2014 or 2015 re-assessing the home’s value. Otherwise, the province-wide assessment that was completed last year will be used to determine your tax rate for the next three years ending in 2020. Due to skyrocketing property values in the GTA, it is likely that the assessed value of your property has increased, perhaps drastically, in the past four years – which means your taxes will be going up on a phased-in basis, starting in 2017. Your Property Tax Bill Is, Unfortunately, A Bill. While you don’t have to do anything with your property assessment notice except file it away or take further action if you disagree with what it says, when you receive a tax bill, you do have to pay it. Your property tax bill is based on the assessed value of your home or building as per MPAC, phased in over a four-year period (so any increases don’t hit you all at once). The municipality collects property taxes twice per year, once in the 1st quarter of the year and once at mid-year. And the bill is broken down so you know what the tax dollars are being used for. 2016’s property tax rates were approved by City Council based on three factors: the municipality’s levy, which is used to pay for a wide range of City services; an education levy from the province; and a transit expansion levy. For more information on how the City calculates property tax, visit the Revenue section of the City of Toronto’s website. And if you aren’t happy about that bill, contact us to discuss your property assessment. Making an Application Under Section 357. (1)(d).